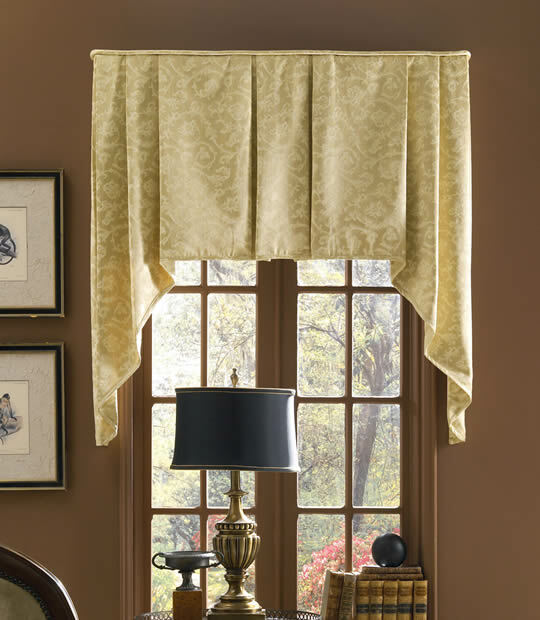 Featured: 43"W window with a 3-piece construction, proportioned for it's width. Box pleats and upper portions of cascades are standard lined. Lower cascade drop is self lined.